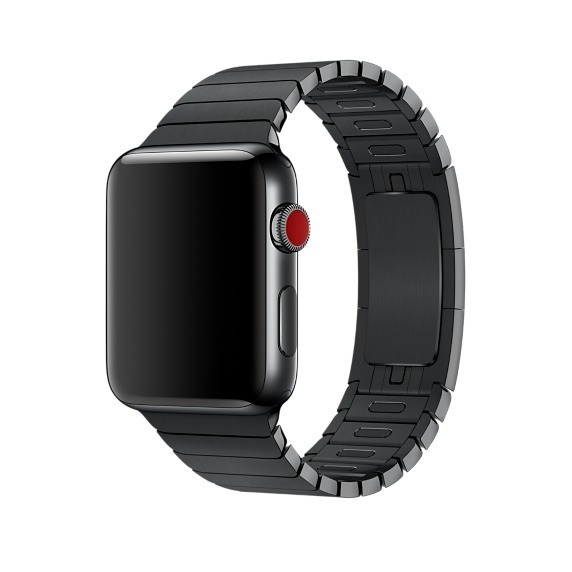 Which Apple band(s) should you get for your new Apple Watch? 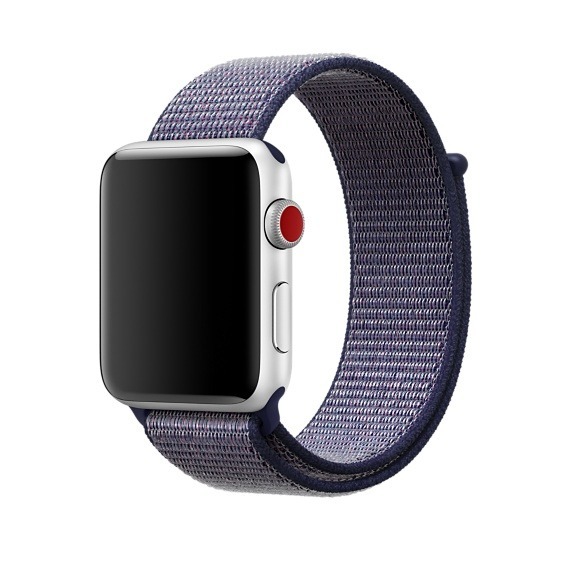 If you got an Apple Watch for Christmas, or you're looking to buy one on your own, there's a multitude of official bands to choose from. Which ones —if any —should you consider? There are no hard and fast rules on what you should buy. 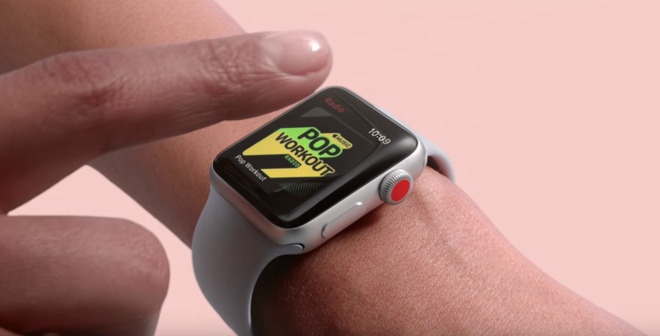 Most bands are available for every Watch model, and typically, all of Apple's options are well-made. With that said, what you pick should probably be based on both your budget and your purpose. If all you care about is everyday functionality, you might as well stick with the Sport Band or Sport Loop, both of which are $49 and often come bundled with Watches. Of the two we would recommend the Sport Loop, which is extremely comfortable and easier to slip on. The Sport Band is fine, but it can take a little while to learn how to slip it on quickly. The Midnight Blue Sport Loop. Some people will of course want a band that looks more professional, fashionable, and/or suitable for formal occasions. 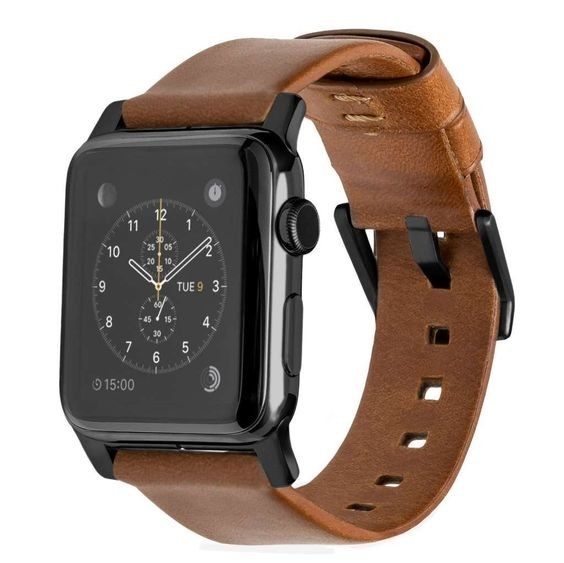 Preferable options in that regard are Apple's Classic Buckle, Modern Buckle, and Leather Loop, all of which cost $149. Note that some designs are available only for one size of Watch. Woven Nylon bands may also be good all-purpose selections, especially since they're just $49. Just be sure to pick tasteful colors —Spicy Orange could look stylish with your t-shirt and jeans, but chances are it won't work with a three-piece suit. 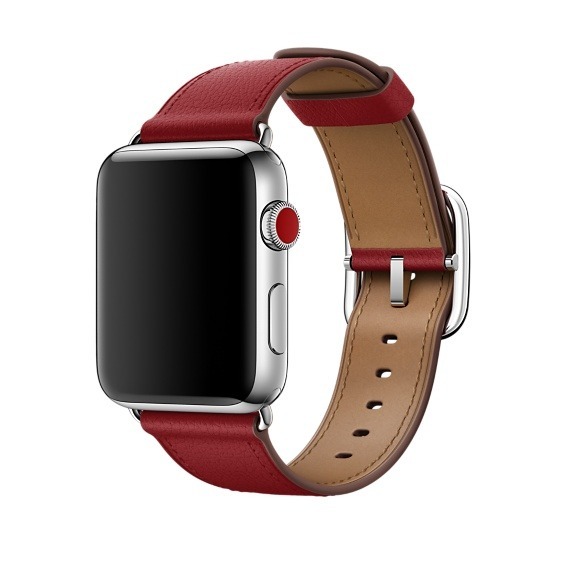 It's worth noting that some accessories are branded for (Product)Red, which funnels proceeds to the Global Fund, a charity fighting AIDS, tuberculosis, and malaria. If you're serious about running, weightlifting, or other fitness activities, there are really only three options: the Sport Band, Sport Loop, and Nike Sport Band. These all cost the same, so the choice really boils down to personal comfort. The Sport Loop and Nike bands are the best in that regard as they're both slightly lighter. You might not think weight would matter that much with a watch band, but a light one is less distracting, especially during long-distance runs. 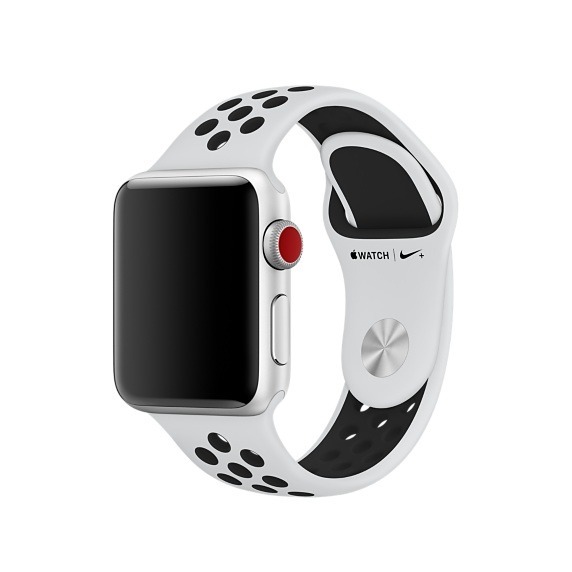 The Pure Platinum/Black Nike Sport Band. The Sport Loop has the advantages we mentioned earlier. Some people may nevertheless want to go for a Nike band, for one simple reason: sweat. Its perforations can keep your wrist cooler, and allow more sweat to drip away. Style is highly subjective, particularly when it comes to the Apple Watch. After all, there's no reason a Sport Band can't look amazing if it's paired with the right model and clothes. Since people often have a culturally-defined interpretation of "fashion" though, we would suggest going with the Buckle or Leather Loop options in most instances, or perhaps the Milanese Loop. 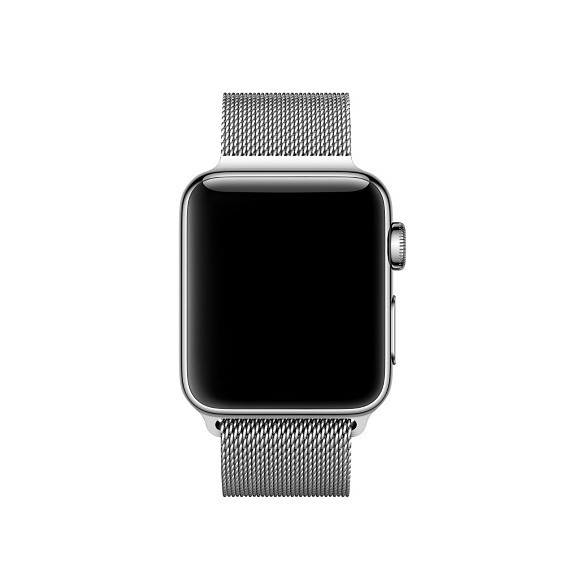 The last comes in Silver ($149) or Space Black ($199) versions. If money is no obstacle, there are the Silver ($449) and Space Black ($549) Link Bracelets, and an assortment of Single- and Double-Tour leather bands by French fashion house Hermes, ranging in cost from $339 to a whopping $589 for the Noir Swift Leather Double Tour Medor. You'll have to decide for yourself if Hermes branding is important, but shoppers wanting some sort of metal bracelet should strongly consider Apple gear —third-party bracelets can be cheaper, but potentially problematic. The Space Black Link Bracelet. Third-party accessories tend to be cheaper in general, and should definitely be checked out if you're buying a second or third Watch band. It's often worth paying the "Apple tax" for electronics, but as long as a band is durable, fits, and looks good, that's all that counts. In fact there are plenty of colors and styles you simply can't get from Apple. The Nomad Horween Leather Strap. There are so many choices that we can't begin to do them justice here. As a starting point however you might want to check out brands like Monowear, Nomad, and Southern Straps.